Stefan Johansson found his subjects in the close vicinity of his home in Värmland. Composed of portraits, interiors, landscapes and cloud and light studies, his oeuvre is a fascinating journey of calmness, atmosphere and luminosity. 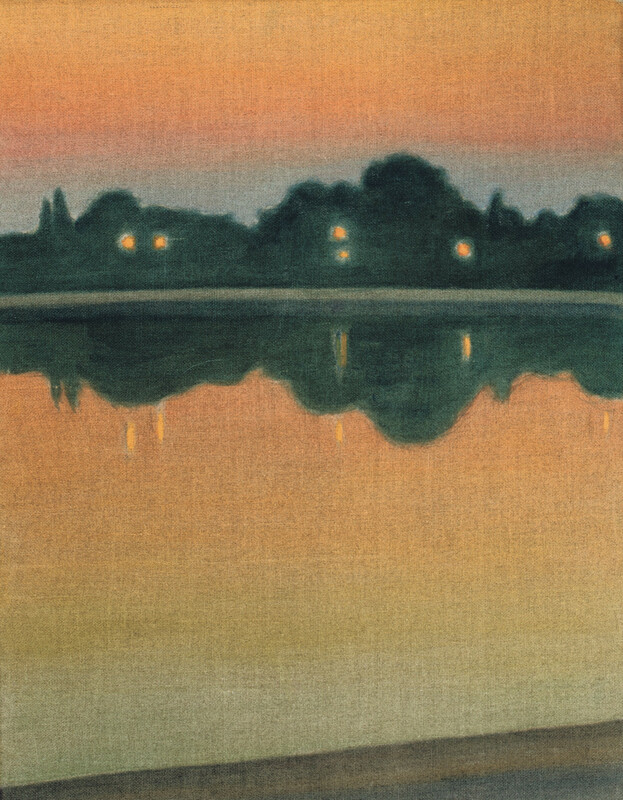 He was interested in translating light - both natural and electrical - onto the pictorial surface, and developed his own technique of watercolour, gouache or tempera on canvas which he felt was particularly suited for this purpose. Whether depicting the light of an early sunset in summer or the pale shimmer of a street lamp at dusk, Johansson meticulously captures the specificity of the light source. His paintings are beautiful, serene and almost ethereal, and seem to occupy the ephemeral territory between dream and reality.